Free fiver today! Visit website for full T&C's. If you’re a sucker for a classic fruit machine, mFortune have a great online version which will make you go bananas! Reel Fruity Slots will have you in a spin as you reach for that amazing x10,000 prize! 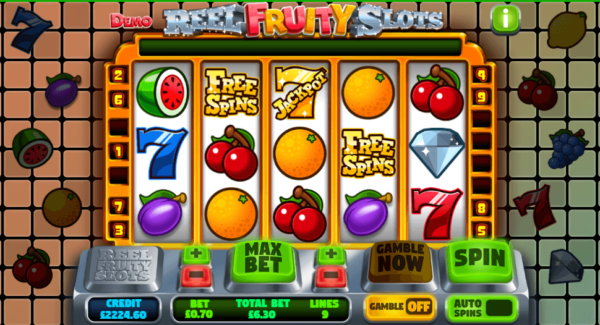 Keep reading to find out what this slot has to offer in our Reel Fruity Slots review! Reel Fruity Slots is another fantastic game that adds to mFortune’s already impressive collection. If you want to have a go at lining up some reel fruit, you’ll need to sign up to mFortune’s website! If you take a look at the mFortune website, you’ll see that they are offering a free £5 when you sign up! It doesn’t stop there though, any deposit that you make, up to £100, will be matched by mFortune and will go straight into your account for you to start playing! Make sure to read the terms and conditions to get started now! 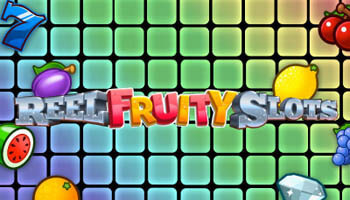 Reel Fruity Slots is a new online twist on the classic fruit machine set up. Players can expect their favourite symbols like cherries, grapes and lucky sevens to appear as they spin their way through this game. When it comes to the rules, you’ll need to match three symbols to get a prize. For the lucky sevens you only need two symbols or more on a win line but remember that this game pays out left to right!  There are 15 win lines on this crazy game so you can increase your chances by betting on multiple lines. If you want to win a healthy amount of cash on Reel Fruity Slots you’ll want to listen to our top tips! The great thing about this game is that you can bet as low a £0.02 on as many as 15 win lines! If you want to make your money last a bit longer you can always bet low but on lots of lines to maximise your chances. If you’re feeling a bit braver you can always bet higher and see what you can spin! Our favourite part about this slot is the gamble feature. This can be turned on or off so that you can choose when to gamble. 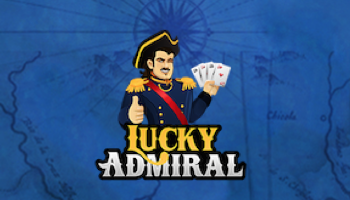 This feature gives you the chance of multiplying your win by as much as 12x your prize! You simply spin a wheel and try to land on that multiplier. It gets riskier as you choose a higher multiplier so only use this feature if you’re feeling bold. Not only does Reel Fruity Slots give you the chance to win free spins, but it also has a great mini game! This mini game is called Super Wheels and you can enter it by getting more than 2 diamond symbols on a win line! The more symbols you enter with, the higher the bonus prize you can win! this is a great feature and is sure to win you a lot of money. We love the design of this game as it looks just like a modern fruit machine! The colourful graphics of the fruit look great on the slot as they spin. The buttons at the bottom are clearly labelled so that you can understand the features and slot machine fans will love the similarity to a real slot machine! Overall, we think that Reel Fruity Slots is a great game for slot machine lovers out there. 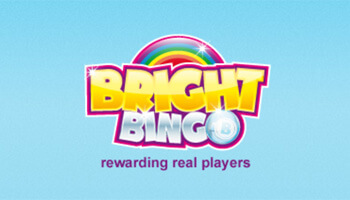 You are sure to build up your cash as you maximise your spins and gamble to win a huge amount of cash! 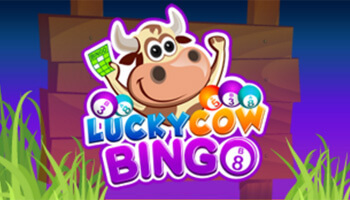 Make sure to log onto mFortune to start spinning those lucky sevens!